Vinit Shanbhag isn’t your typical student. His extensive background both overseas in India and at the Florida Institute of Technology serve to prove just that and prepared him for his next adventure at Mizzou. Shanbhag intentionally joined the lab of Michael Petris at Bond LSC to further his experience. There he studies how an essential dietary nutrient copper is required for the process of tumor formation and metastasis. In a specific study he has deleted a copper-transporting gene (ATP7a) in cancer cells and demonstrated a defect in their ability to grow into larger tumors and spread to other organs in animals. Shanbhag’s work has been recognized as he was invited to present his research at the Gordon Research Seminar in Vermont earlier this year. While there, he shared the work he’s been doing in his lab and gave a presentation, in addition to showcasing a poster detailing his work. Although he’s presented at departmental seminars, this recognition stands out as a great experience for Shanbhag. The hope is that Shanbhag’s research will serve as the premise for further development in understanding and eventually eliminating cancer. “Ultimately, I hope to discover new ways to kill cancer cells and provide cost-effective treatment options for cancer patients,” Shanbhag said. Sterling Evans’ mind wasn’t focused on research when he started college, but that would soon change. The sophomore plant sciences major uncovered his interest thanks to Freshman Research in Plant Sciences (FRIPS) — a program dedicated to introducing research to freshman students from plant-related degree programs. Along with a handful of students selected for FRIPS each year, Evans got to interact with various professors and mentors around campus on a weekly basis. Because of that exposure, Evans found a place in the lab of Bond Life Sciences Center’s Gary Stacey. After a year working in Stacey’s lab, Evans just joined a new project that aims to improve the nutritional value of soybeans. “They’re used as a main source of protein for a lot of countries, so improving their nutritional content would have a huge impact,” Evans said. The team is applies CRISPR, a gene-editing tool, to model plants called Arabidopsis as a first step. “We are working on Arabidopsis right now as a proof of concept, because it can be done in a relatively short period of time, before investing as much as a two additional years in soybeans,” Evans said. While he only spends 15 hours in the lab each week, Evans noticed the lab’s impact on his approach to academics in other ways. Evans plans to earn a Ph.D. in a plant sciences field and wants to continue research in his career. He’s most interested in helping ensure small communities throughout the world have enough to eat, and he hopes to contribute by studying orphan crops. That impact all started in a lab. Had he not stepped out of his comfort zone he might never have discovered this path, and he highly encourages other students to give research a chance. The core of many modern discoveries in developmental biology is swimming in a tank. These are zebrafish that serve as the lab rats for Anand Chandrasekhar’s research. Dozens of tanks containing thousands of swimming fish fill the lab in the basement of the Bond Life Sciences Center. There are baby fish, striped fish and clear fish, many genetically modified for experimental reasons, and they are studied from fertilized embryo to adolescence. Chandrasekhar’s lab uses zebrafish to study migrating motor neurons in the brainstem that control muscle movement in the face and jaw. Multiple types of neurons positioned precisely throughout the brain connect together to form networks. Those networks give the brain its ability to function. “For us, it is important to study how these networks form because the brain is what makes us human,” said the Bond Life Sciences Center researcher. During development, neurons respond to signals that enable them to move to different locations and form networks, Chandrasekhar explained. If the neurons don’t migrate properly to specific locations then the brain can’t function properly. It is a domino effect. If the brain stem motor neurons don’t migrate correctly then the corresponding neural networks don’t form correctly and then the fish are not able to eat well. Chandrasekhar’s lab is captivated by this migration. Different neurons move different ways and are set into motion by different signals. What are the signals to tell the neurons to stop or to go? Do these signals vary based on neuron type and species? The lab also seeks to understand the repercussions of deficient migration using genetically modified fish. Cell migration doesn’t just occur in the brain or with nerve cells. Cells also need to move in particular ways to form the heart and to fight infections. The zebrafish has long joined traditional lab rats and mice as scientists’ choice as an ideal test subject. Like other model organisms, zebrafish share many genetic similarities with humans. These similarities mean researchers can investigate cancer, heart disease, muscle and tissue disorders in humans by testing and studying fish. Mice and rats also share a large portion of DNA with humans, but the zebrafish’s unique characteristics enable experiments and observations to be cheap, efficient and fast. One of those unique traits is a rapid development rate. This allows researchers to study important developmental stages in a single week. “They’re incredibly efficient in terms of, I can set them up and they’ll be ready tomorrow morning,” said Ph.D. student Devynn Hummel. The fact that embryo development in mice occurs inside their mother also makes observing early stages of development hard. 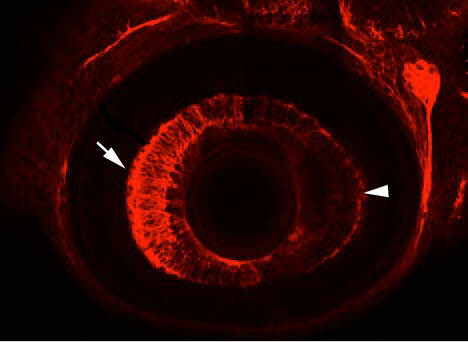 Zebrafish embryos, on the other hand, grow independently, outside the mother. The young zebrafish’s transparency also helps researchers track cells within its body. Hummel explained that by using fluorescently tagged molecules we are able to zero in on anything from neurons to changes in calcium concentrations, allowing fish to be used in a wide range of different studies. Scientists throughout the world are catching on to the advantages of the fish. Chandrasekhar said there are significantly more zebrafish labs throughout the world than there were 20 years ago. Despite its advantages, the zebrafish will not completely replace mice as a lab tool. Chandrasekhar explained there are still certain experiments where mice are more advantageous. The same area of research can be explored using zebrafish, mice or even fruit flies, but the specific questions you ask change based on the tools available. While Chandrasekhar’s lab concentrates on neurons, understanding how the migration occurs can be applied in a different context because of shared cellular mechanisms. 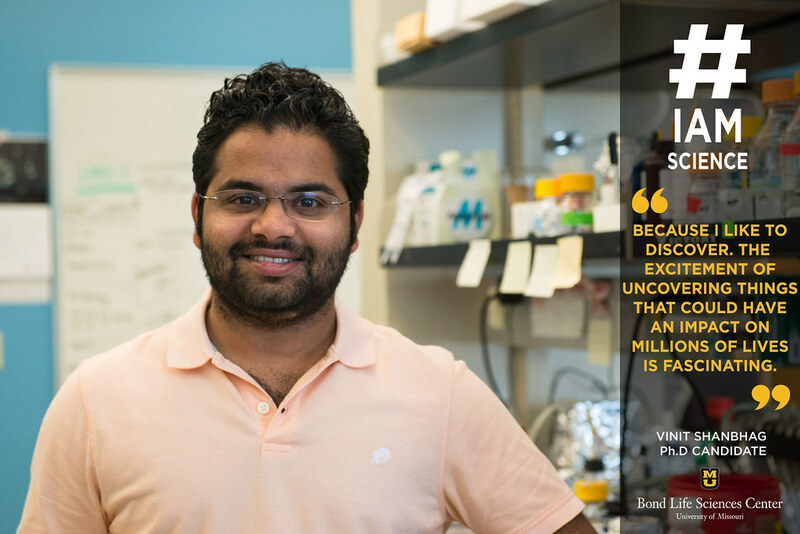 Members of Chandrasekhar’ lab already experienced a broader implication of their research when a gene they studied with a role in neuron migration provided insight on Spina bifida, a failure of the fetal spinal cord to close completely. “We all hope the problem we study has a broader impact on human biology so there’s always a quest to dig deeper and learn something new,” Chandrasekhar said. The lab is hoping one day soon this fishy tool will help shed even more light on the mechanisms maintaining human health. For now, the researchers and their fish will just keep swimming. With more than 2,000 fish, the lab has no plans on slowing down. Anand Chandrasekhar is a Biological Sciences professor at the University of Missouri. He uses mice and zebrafish to study the mechanisms involved with the development of the nervous system. His lab in Bond LSC uses cell biological and genetic methods to understand these mechanisms. He received his Ph.D. in biology from the University of Iowa. 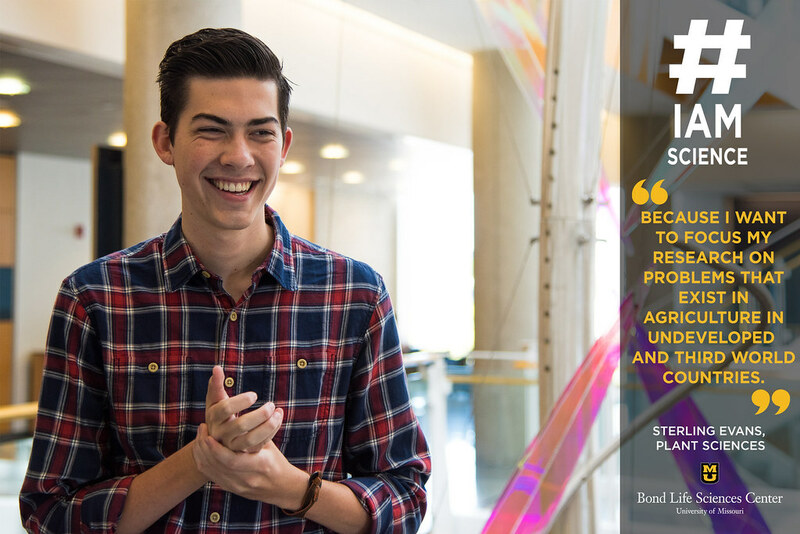 Paul Caldo isn’t your typical undergraduate student. 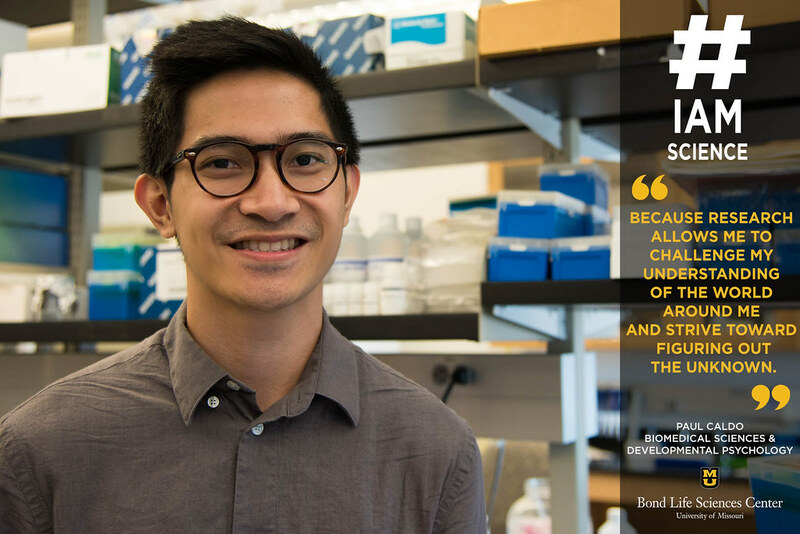 As a junior, Caldo is double majoring in Biology and Psychology, which gives him a unique perspective on science as a whole. It is in the overlap between his majors, however, that most interests him. As a member of both Dr. Cheryl Rosenfeld’s biology lab in Bond LSC and Dr. Ashley Groh’s psychology lab in Noyes Hall, Caldo gets the best of both worlds while studying the fields he loves. In Rosenfeld’s lab, he’s currently analyzing how endocrine disruptors – which are found in everyday products like sunscreen – impact the development of reproductive organs in female mice. “By understanding the underlying mechanisms that drive this interaction, our goal is to potentially reverse some of the harmful effects that result from heavy exposure to endocrine disruptors,” Caldo said. His efforts have not gone unnoticed. Caldo was selected to join an ASH Scholars undergraduate team mentored by Dr. Grohl and collaborator Dr. Amanda Rose. The ASH Scholars program, which provides a $2000 scholarship, is sponsored by the Honors College and the Office of Undergraduate Research. He also received a $200 travel grant that will allow him to present his findings at the Developmental Origins of Health and Disease Conference in Detroit later this month. After graduation, Caldo hopes to attend graduate school to study developmental psychology using an interdisciplinary bio-behavioral approach to answer research questions. Ultimately, his plan is to earn a PhD in developmental psychology. Until then, though, he’s enjoying his time at Bond LSC learning as much as possible. “The ambiance is great – working closely with some of the best researchers on campus is an amazing feeling,” Caldo said. What happens when a chemical engineer, a computer scientist, and an immunologist walk into a lab? Vaccines are created faster and cheaper. At least this trio hopes that’s the answer. 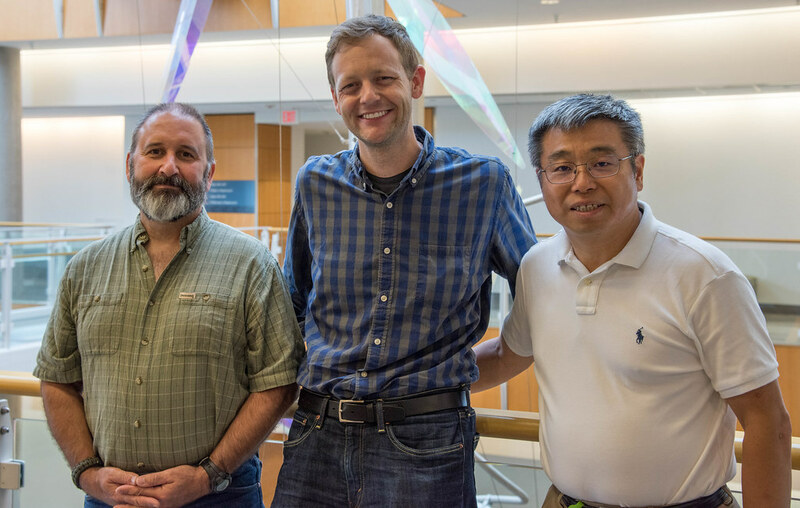 Bond Life Sciences Center computer scientist Dong Xu joined forces with immunologist Jeffery Adamovicz and chemical engineer Bret Ulery for the first time in February 2016. After 18 months and a $100,000 Bond Life Sciences startup grant, the team is closing in on a novel approach to vaccinations. They hope to start collecting initial data in the near future. Efficiency has plagued the vaccination field for decades. Traditionally, scientists create new vaccines by continuously guessing which components of the virus or bacteria to test. The process is similar to finding a needle in a haystack. It’s like scientists sort through and test every strand of hay until they discovered the needle. As you can imagine, this method takes a long time to find something usable. This process becomes a larger issue when viruses emerge that call for immediate measures, such as Zika or Ebola. Creating vaccines can take a long time because sometimes a variety of different related bacteria cause illnesses. This makes that already inefficient guessing game more complicated by adding, even more, components to test. Adamovicz explained scientists make a new vaccine each year by predicting which strain of the disease will infect the most people. This is why many people who get a flu vaccination can still get the flu — the strain they caught was not included in the vaccine. Xu, Ulery and Adamovicz decided to combine their strengths from their different fields to approach creating a vaccine in a new way to solve these two problems. Adamovicz explained this type of collaboration is not routinely attempted when developing new vaccines. Computer science and engineering enabled the team to more easily sort through thousands of potential options. 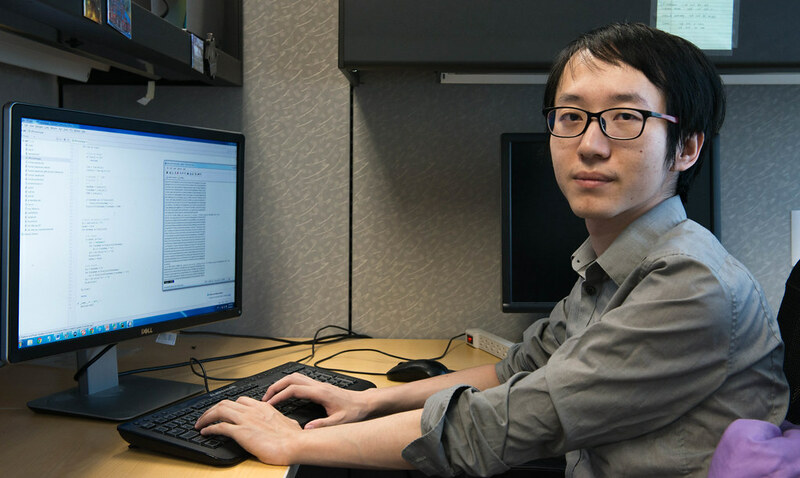 Xu’s lab and his students created an algorithm to select candidates to test. 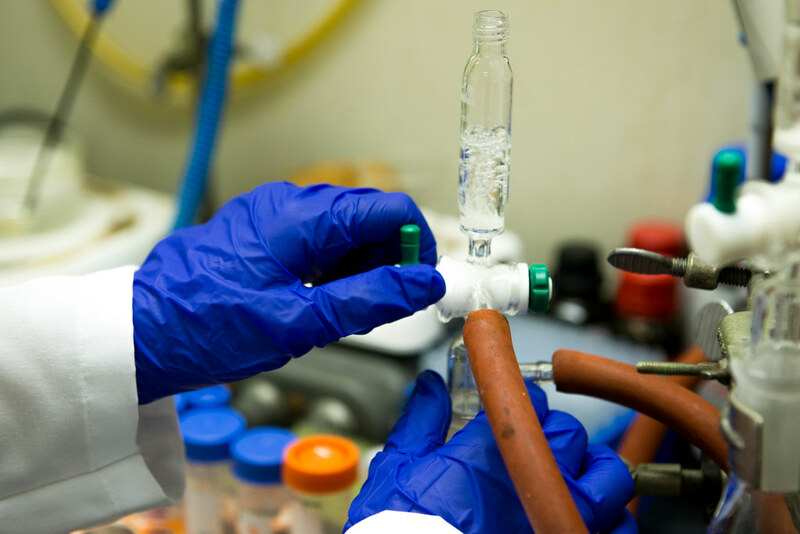 Without Xu, the team would have to test tens of thousands of different antigen and peptide combinations. But with the algorithm, the team narrowed the combinations to about 10 to test. Adamovicz said this method has the potential to create vaccines in half the normal time. “I feel that it is a very meaningful work; that’s why I am interested in doing it because I do see the potential impact,” Xu said. Burkholderia is the first Guinea pig for their new approach. The potentially deadly bacterial infection occurs in places like Thailand and northern Australia and is caused by a family of related bacteria called Burkholderia pseudomallei. But other strains of Burkholderia also cause disease in patients with Cystic Fibrosis across the globe. To eventually create a vaccine that could cure all strains of the bacteria, the team aimed to find a small piece of protein all Burkholderia had within their flagella, the whip-like structure of the bacteria that allows them to propel themselves. To limit the number of segments within the protein, Adamovicz’s lab, on the biology side, determined some requirements for Xu to write an algorithm. “It’s not to say this is like Star Trek where you just tell the computer and it does it on its own, it requires a lot of knowledgeable human input to spit out the answers,” said Adamovicz. Adamovicz explained they wanted a vaccine that would trigger two immune responses. When harmful substances enter the body, like viruses or bacteria, the body responds in two ways. One way is through cellular immunity that responds by activating cells that already exist. The other way the body responds is by other cells making proteins called antibodies, which is called the humoral response. The segment also had to be conservative, meaning it is less likely to mutate so there is a higher chance a vaccine would continue to be effective against the bacteria and would be effective against more members in the bacterial family. The last criteria Xu’s lab coded for ensured the protein is not similar to others found in humans. All these limitations lowered more than three thousand possible candidates down to a testable amount and a final list of 10 candidates. Then the research moves on to Ulery’s Lab. Here a team of chemical engineers take the identified candidates from Xu’s work and engineer targeted vaccine antigen nanoparticles termed micelles. These micelles are comprised of fat-based cores that display vaccine antigens on their surface and have been shown to induce strong immune responses. Then, the work goes back to Adamovicz to evaluate what the portions of proteins are going to make the best vaccine. This cycle continues as all labs work to enhance and develop the design further. After months of back and forth, the team is preparing to feed infected cells some of the selected peptides, the small portions of protein. Those candidates that do well in the cell culture will be tested in mice exposed to the Burkholderia bacteria. The team hopes this round of data collection will serve as a baseboard for future experiments. If this principle is proven in one antigen, a larger grant may enable the theory to be tested in hundreds of other antigens and applied to other diseases. Over the next four to six months, the team hopes to have a clearer vision for the future of this research. The team credits the Bond LSC grant for bringing them together and for helping establish initial research to prove an approach like this could be impactful. But, these types of collaborations don’t stop here. “Previously, it was small stakeholders working on one protein their entire life, but that’s more basic research. To solve real-world problems requires many, many aspects, so the way that we are working in terms of interdisciplinary collaboration, I think that presents the future and this is already on-going in terms of an overall biology trend,” Xu explained. Dr. Dong Xu is a professor in the University of Missouri’s Electrical Engineering and Computer Science Department and the Bond Life Sciences Center. His Digital Biology Lab develops and uses computers and software programs to help biological and medical researchers analyze large amounts of data. Dr. Jeffrey Adamovicz is an associate professor in Veterinary Pathobiology and the director of the Laboratory of Infectious Disease Research. He works on developing vaccines and on animal models for zoonotic diseases. 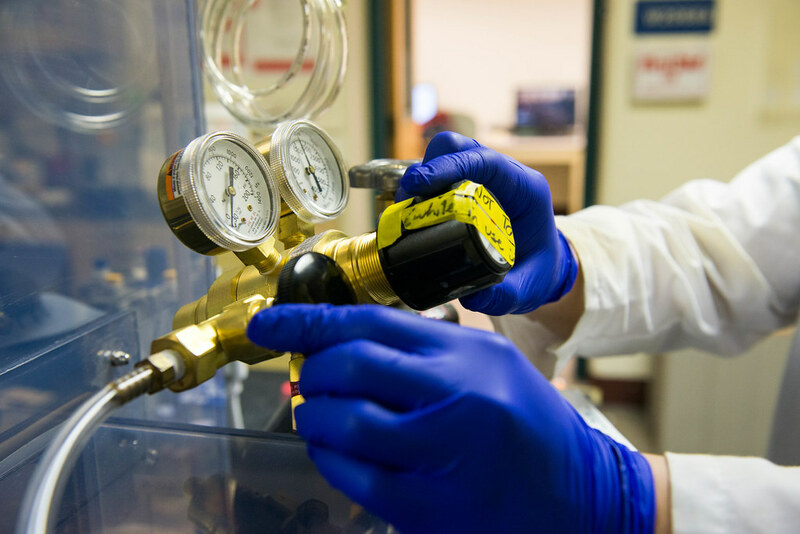 Dr. Bret Ulery is an assistant professor in MU’s Chemical Engineering Department. He directs the Biomodulatory Materials Engineering Lab that creates new biomaterials for applications in immunology and regenerative medicine. He earned his doctorate degree from Iowa State University. 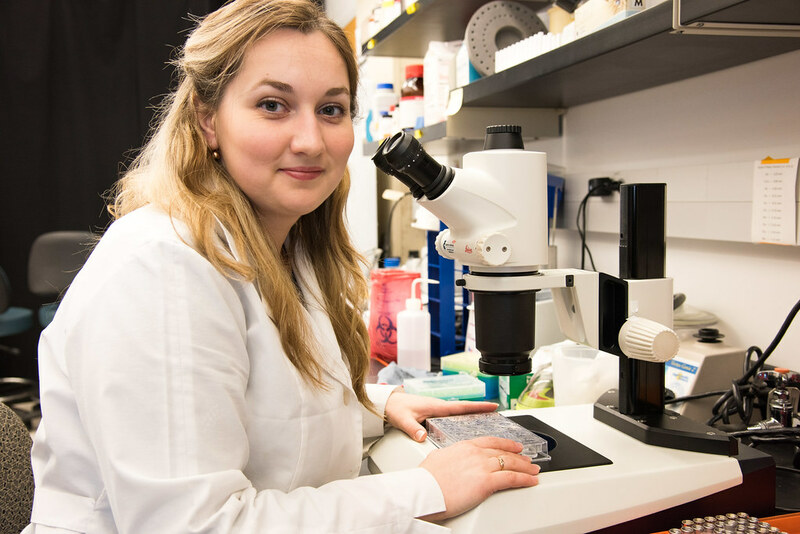 Ph.D. candidate Anna Gres frequently described her success at the Bond Life Sciences Center as being lucky. “It was challenging and stressful, but I think everything worked out well for me and I was lucky in a way. I was fortunate to get to the good labs, interact with great people, attend courses, attend conferences and grow both professionally and personally,” she said. Her mentors and colleagues use other words to describe her. Bond LSC scientist and mentor Stefan Sarafianos called her “super spectacular” and her work “nothing short of outstanding” when introducing Gres before her dissertation defense on September 1. When Gres came to the University of Missouri five years ago as a chemistry student, she knew she wanted to learn about crystallography, a technique that examines the precise arrangement of atoms and the geometry of molecules by looking at the image of the crystal under an X-ray beam. 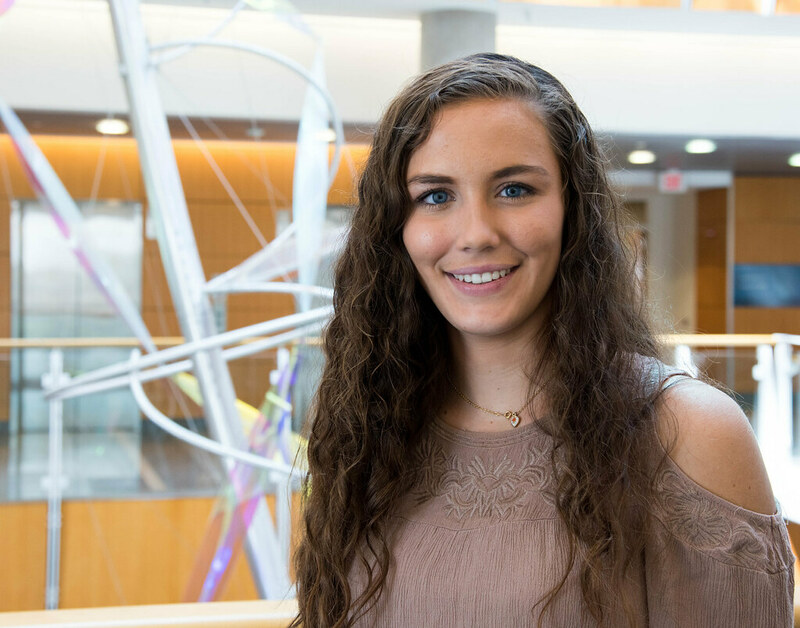 This interest led her to Sarafianos’ lab and into research on HIV. She studied a specific HIV protein. Her research involved using X-ray crystallography to determine the structure of the HIV-1 capsid protein. The capsid surrounds the virus’ genetic material, protecting it from a cell’s defenses while transporting the viral DNA to the cell nucleus. Her research produced one of the most complete models of the capsid protein. Previous attempts to understand the protein worked with engineered versions of it rather than the native version. Gres’ research was the first to reveal the closest representation of the hexameric capsid lattice in intact HIV-1, a discovery that will open the door for further insights. 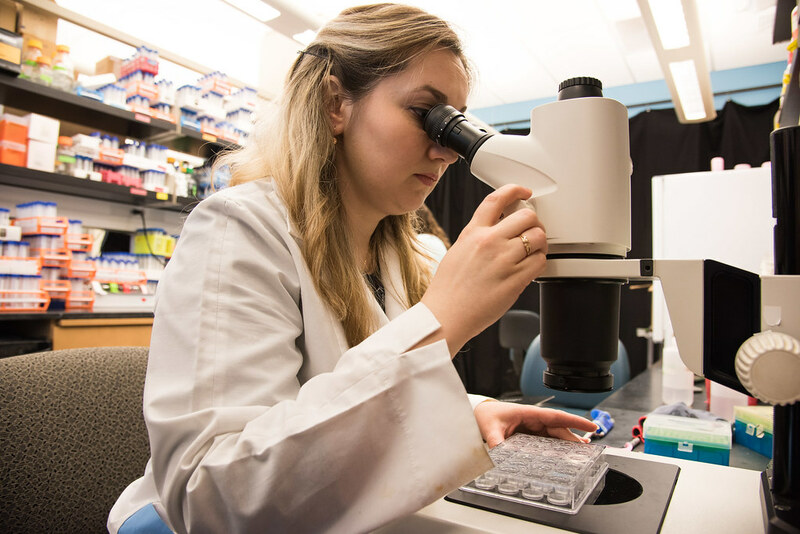 She explained this knowledge allows scientists to understand the viral life cycle better, study interactions of the viral protein with cellular proteins, further develop capsid-targeting antivirals and improve current ones. Gres also studied complexes of capsid protein with host cell factors and small molecules that interact with the protein and prevent infection. Other time in the lab was devoted to exploring more than 30 mutations in the protein. Around half of the mutants still need to be completed and analyzed. Currently, no approved drugs target this protein although it plays a critical role in the virus. Previous clinical trials failed, but recently the protein re-emerged as a promising target. Earlier this year, Gilead, a biopharmaceutical company, announced it would begin capsid inhibitor testing after initial studies revealed its potential as a treatment strategy. When Gres finished her dissertation defense, she did so with tears in her eyes as she thanked her mentors, family, and friends for their support throughout this five-year journey. “Work can be stressful; sometimes you need to vent because ‘the project is not working.’ It’s nice when you have people who can listen to you and calm you down and tell you it’s going to work out eventually,” she said. Her research more than worked out and will continue to provide insights on the disease that affects millions each year. As for Gres, she is leaving HIV research and the United States behind. Soon she will be moving to Sweden to start a post doctorate position at the Uppsala University studying chromatin remodeling factors. Gres will bring her skills in structural biology and will transition to cryo-electron microscopy. She explained the topic would be new for her, but that’s why she chose it, so she can continue learning. Uncertainty and curiosity led Rebecca Craigg to work in a lab. 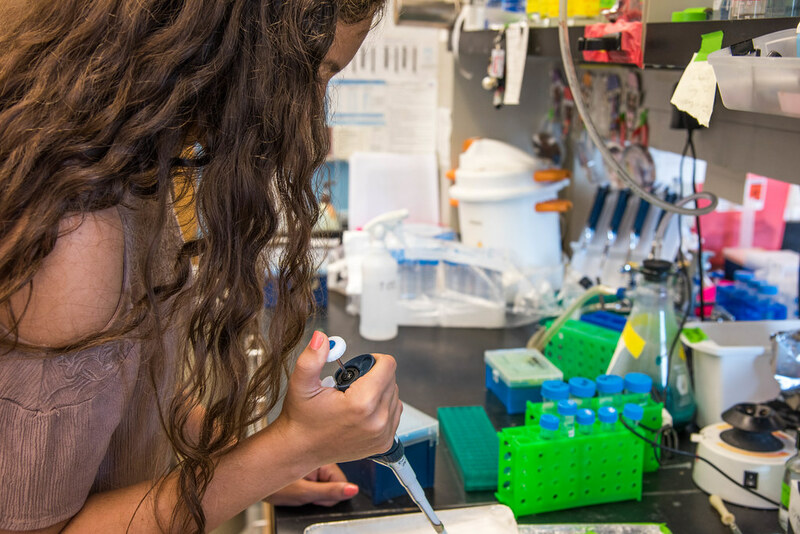 As a first-generation college student with an interest in science but no idea what undergraduate research entailed, her path at the University of Missouri landed her in the Bond Life Sciences Center and the lab of D Cornelison. “I honestly thought undergraduate research meant you just followed around someone like job shadowing,” she said laughing. 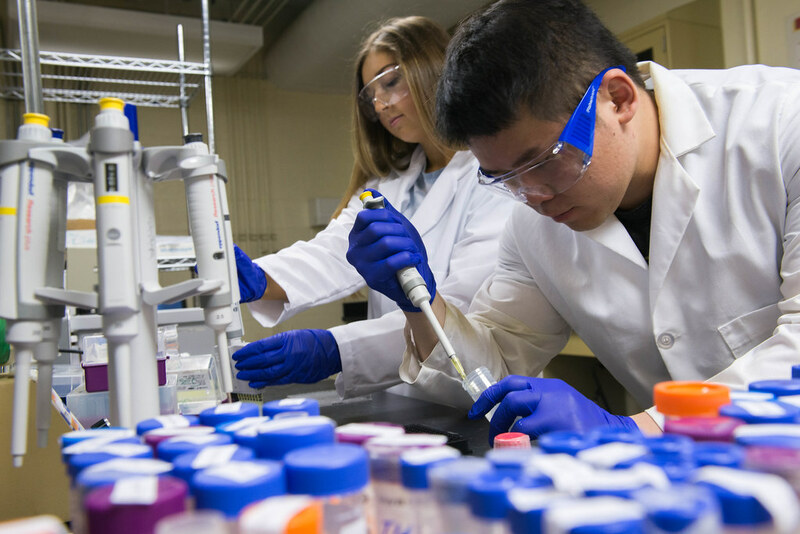 Now, after almost a year of research, the junior biology major is more than familiar with what working in a lab entails. Craigg started working in Cornelison’s lab as an effort to figure out what kind of science she might be interested in. It was while she waited for her genetically altered mice to grow up when she found something that really sparked her interest. Rather than spend her time cleaning lab dishes, Craigg began assisting a graduate student on a project studying the role of EphA7 in mice. EphA7 is a receptor on cells that helps mediate important events within the body. Receptors create a change in the body after receiving a signal from outside the cell. The exact hows and whys behind the EphA7 are still relatively unknown. To unravel EphA7 the team began by breeding genetically altered mice with the gene switched off. Next, specific muscles were isolated, dissected, and preserved once the mice reached different developmental time points. 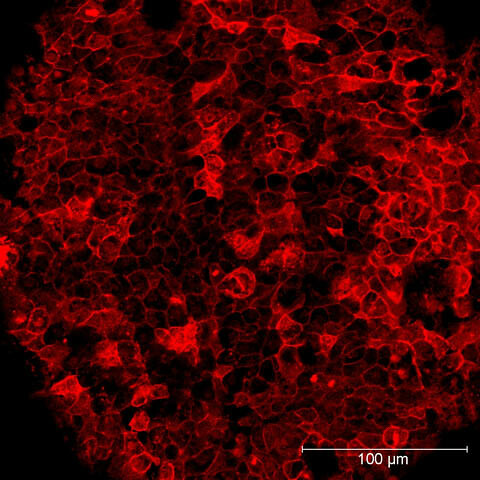 Researchers thinly sliced the muscle and added immunofluorescent staining to track specific elements over a period of time. 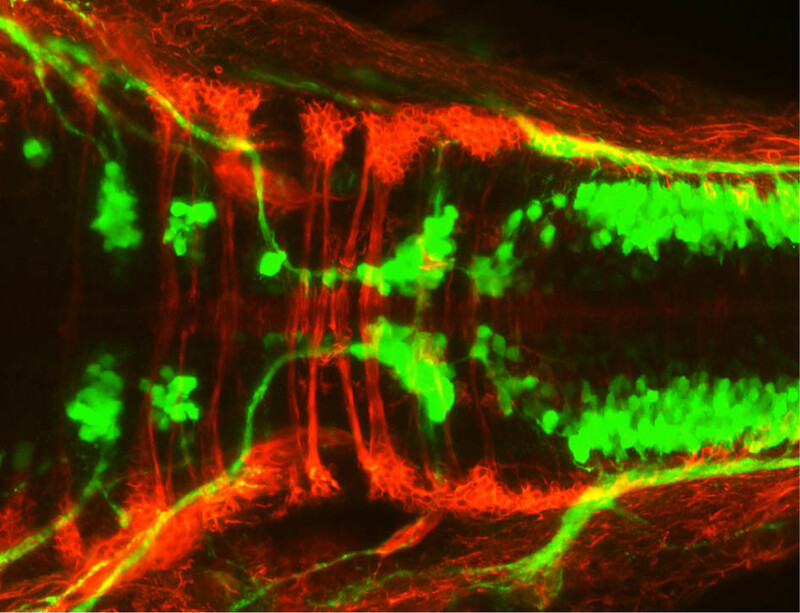 They marked EphA7 with a green fluorescent and regenerating muscle fibers with red. Imaging revealed every time green came up so did red. This led researchers to understand that EphA7 is connected to how muscles rebuild. But this isn’t the only role the receptor plays. Work this summer also discovered the gene is involved in the development of muscles. The team found at the end of development, the mice without EphA7 did not fully recover like they would have if they were not modified. When the team looked at marking for muscle stem cells, both the mice with the receptor and the mice without it had a depleted number of satellite cells, essentially muscle stem cells, that did not recover. Craigg explained this discovery was puzzling. In every other case heterozygous mice, the mice with one gene coded with EphA7, were fine. The team predicts the cells and muscles realized they were not adequate so the muscle stem cells began to become muscles. This process would leave fewer stem cells at the end of development. Fewer muscle fibers really mean the mice are lacking normal muscle strength. Craigg said one reason for this could be EphA7’s relation to motor neuron axons. Motor neurons send signals from the nervous system to muscles to tell them to move. EphA7 is present on all motor neurons. The team hypothesized that the gene may play a role in guiding the motor axon to the muscle, thus without it, muscle size would decrease. “We kind of know way more than we did, obviously, in that it’s involved in regeneration and all these things and that if a mouse doesn’t have it they have all these decreased numbers all over the board, but we don’t know why per say,” Craigg said. To better understand why EphA7 functions the way it does, the team will begin to examine the relationship between motor neurons and EphA7. They will also explore if the type of muscle fiber, slow-twitch versus fast twitch, make a difference. Craigg said each new piece of knowledge about EphA7 is a step towards better understanding what causes muscle disease in humans. While the lab faces a lot more work ahead, it doesn’t faze Craigg. For her, the possibility of more discoveries is part of the thrill. “We kept finding out so many new things about it. I would be counting things and I’d be like, ‘Oh my god, I can’t wait to get this data back, like, I just want to know,’” she exclaimed. 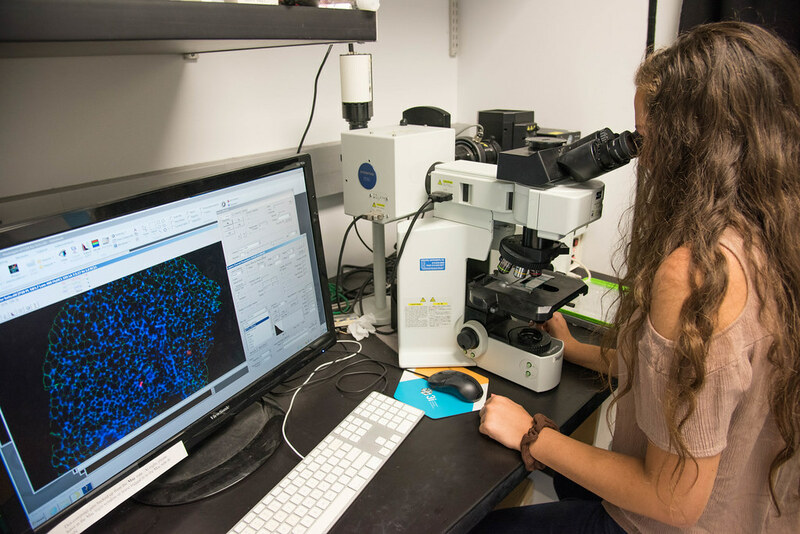 Rebecca Craigg is a junior biology major working in the lab of D Cornelison at Bond LSC.